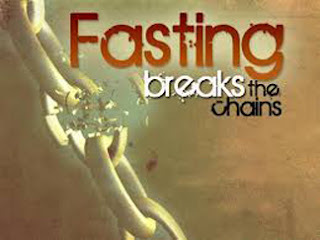 I have instinctively known the importance of fasting because of its significance in the Bible. Before Jesus began His public ministry, He fasted for 40 days and 40 nights in the wilderness in preparation to resist the temptations of the devil that were coming. Remember, Jesus lived His life on earth as a man, so if fasting was a critical tool for Him in defeating the devil's schemes, then don't you think we should have it in our spiritual arsenal? In addition, as Jesus taught His disciples how to carry out the Commission He was assigning to them, He shared that some of satan's spirits aren't defeated except by prayer and fasting ... again showing us that fasting is a powerful spiritual weapon. Without sharing the details of my week-long fast, I will tell you that I approached this time of fasting as a means to achieve a spiritual breakthrough with God. I knew of some issues that I had been struggling with; issues that I felt were keeping me from experiencing the intimacy that I so desperately desired. The Lord spared no spiritual matter that needed addressing. I was humbled by facing the truth of my deficiencies and inadequacies, yet also experienced the Grace of God in confronting them with a heart that sought cleansing. But it was the consequence of that week's fasting that I am most surprised and grateful for. The reason that I stopped my fast at a week was because I was leaving the next day to spend several days with my family in Illinois. And it had been nearly 10 years since I had returned to where I spent my grade school and high school years. I am in constant touch with my brothers and sisters, and we have visited each other on vacations. But most of my four siblings have strong ties to the state, while I do not. And my two sisters and their husbands and children still live there, so they are the only reason that I even consider going back. You see, when I graduated from high school, I couldn't wait to leave there -- not from any difficulties with my family, but because I instinctively felt I didn't belong there. There was always a sort of subtle darkness or heaviness that my 17-year-old self could never explain, but I felt it nonetheless. And I sensed it every time I have returned over the next 46 years. I thought it was just me; that I was unfairly casting this place in an unfavorable light --- until this time. As I look back on the last few days, the word "amazed" doesn't even cover what the Lord has shown me. And I believe that, because for the first time in my Christian life I had just finished a sincere and devout time of fasting, I was able to receive new revelations and a new consciousness of seeing through spiritual eyes -- something I had been unable to do in all my other return trips to my childhood home. And here is what was revealed to me... Everywhere I looked was evidence of Freemasonry: Masonic lodges every few miles; the Masonic symbol of the square and compass was displayed openly and conspicuously on government and public buildings -- even on the City Limit sign of the town I grew up in! And when I went to visit my parents grave, I was shocked to see the immense section of the cemetery devoted to the Masons. 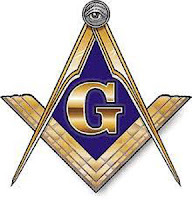 Freemasonry was everywhere, yet I was unable to perceive it for all those years. Now I understood why I felt such an oppression there and knew I didn't belong. Now I understood why I was so anxious to leave and escape to an out-of-state college. Now I understood why the state of Illinois is bankrupt and the people seem so defeated and unhappy. And especially sad for me, was that I could see the effect of the occult spirit of Freemasonry on my beloved nephews. And I began to see the path that God had designed for me. It is no coincidence that I felt I needed to leave that area at a young age. And it was now obvious why I would suffer a terrifying car accident in which I was rear-ended by what I assume was a car (all I saw was bright lights in my rearview mirror, and then something slamming into my car) and then rolling my car five times up an embankment that stood at the foot of a known Freemasonry "dark site" -- yet no one stopped to help me. It was as if no one saw it and it happened in the spirit realm -- even though I had a totaled car to prove it, and six stitches in my scalp. Or that years later, the subject of Freemasonry would cause a rift with a local church community because it offended some that I could personally testify that Jesus had set one woman free from the effects of Freemason oaths. These last few days, it has become startlingly clear to me that God truly does know all the days of our lives and what we will be faced with. Although He has given us free will to make important decisions throughout this life, I believe He has a purpose for each of us to advance His Kingdom here on earth. And I also believe that He knows how the Enemy is going to try to thwart our assignment. But even more importantly to me, at this moment, is the fact that I believe that my time of fasting succeeded in opening my spiritual eyes to see "the big picture" of what has turned out to be a pretty consistent spiritual battle throughout my life. I'm sure there are some of you who will dismiss this as either the product of an active imagination; and even some who will discount my thoughts as unjustified vilification of Freemasonry. But this last trip "home" was different than the other 30 or 40 times. It was as if a veil had been lifted from my spiritual eyes and all the unanswered questions and inexplicable feelings of unease I had felt were accounted for. I now could understand why I had always felt in a funk when I was there, or sensed that family members were struggling just under the surface. And I am convinced that my genuine desire to get closer to God [during my fast] opened the lines of communication between Heaven and earth and I could see with a new heart and transformed mind. Needless to say, I am grateful for this revelation, and more determined than ever to storm Heaven with prayers and intercession on behalf of my family as I continue my battle with the occult forces existing in Freemasonry. And it goes without saying that I will continue to fast because it opens this dark realm to the Light of God's heavenly realm. Fasting pours out His revelations on me, and helps loose the power of Heaven so that His will might be done in our lives. And, best of all, fasting allows us to partner with Him to see Him glorified in all circumstances. So, the question is this ... Have you considered fasting? Isaiah 58:6 "Is this not the fast which I choose, to undo the bonds of wickedness, to tear to pieces the ropes of the yoke, to let the oppressed go free and break apart every [enslaving] yoke?" So ! - my wife asks me this morning if I read Belle's latest article .... and my reply was as usual - " not yet, why ? " She began explaining of your fast and connection to it having been the reason as to how you now understand the " heaviness " you felt with growing up among the Freemasons in IL. So, I was intrigued - as I had " fasted " years ago as a New Years eve experience to see if I could control my desires. Turns out - it also made me find the connection as to how we are expected to do so from a scriptural standpoint and gain more than " weight-loss " rewards for it ! Seeing and KNOWING the reasons why Christ did likewise makes me ask myself --- " Why don't I do this more often ? " I am really pleased at your comment! To be honest, I expected that if I received any comments at all, it would be to warn me about seeking any kind of "New Age spiritual knowledge" through fasting. I am so excited to see that you are a true Berean, and have searched the Scriptures to see if what I have suggested is true. You have given me much encouragement and I thank you for taking the time to comment on a topic that might be categorized as "fringe" by other Christians.